Spring 1988. 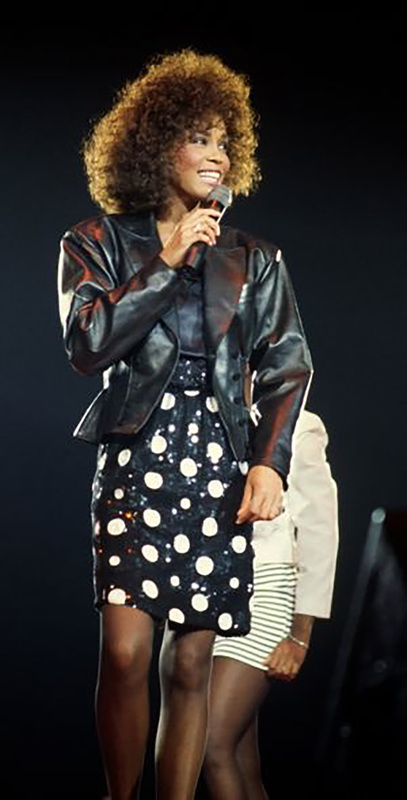 Photo of Whitney performing in London during the Moment of Truth World Tour. This was Whitney’s second worldwide tour. It started in July 1987 in the U.S. and continued on to Europe and Asia where it ended in late November 1988. The tour was in support of the album Whitney.